(Charlottetown, P.E.I.) – Come and be merry on December 17 when the Chorus takes to the stage at 3 p.m. to perform Sing Noël – an evening of classic Christmas carols performed in the beauty of Trinity United Church. The large youth choir will be joined by audience favourite Joey Kitson and guest host Valerie Moore. Appreciation is extended to Maritime Electric, program sponsor for the Youth Chorus, and to Sobeys, the title sponsor for LIVE @ the Centre. Media sponsors are The Guardian, Hot 105.5, and Ocean 100. Follow along on social media @confedcentre (Instagram and Twitter) and via Confederation Centre of the Arts. 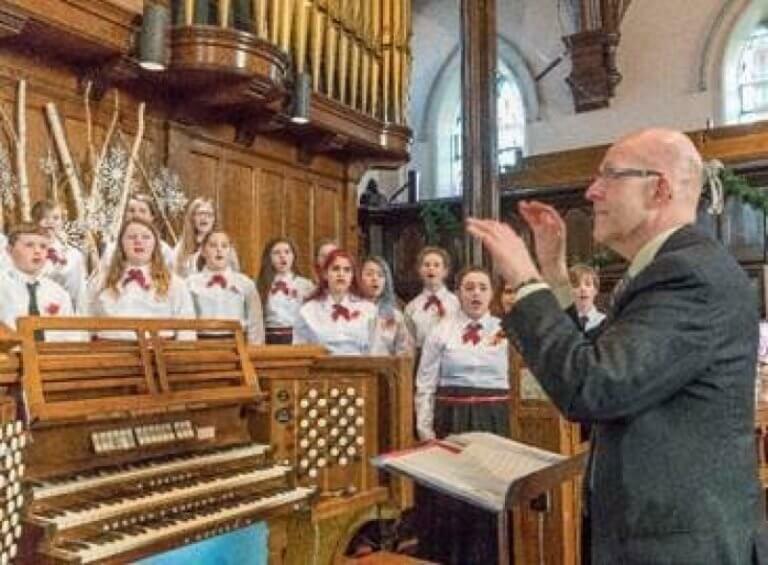 Photo cutline: The Youth Chorus takes to the stage at 3 p.m. on December 17 to perform Sing Noël.